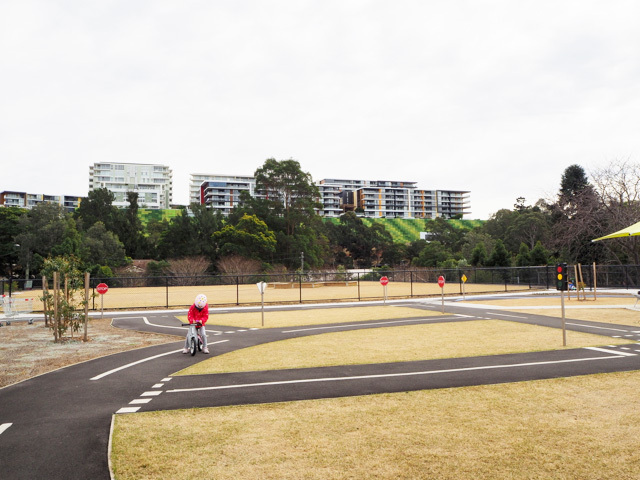 We recently took the kids' new helmets from Cycle Style and bikes for a spin at the Ryde Park Scooter & Bike Track which opened in late March this year. 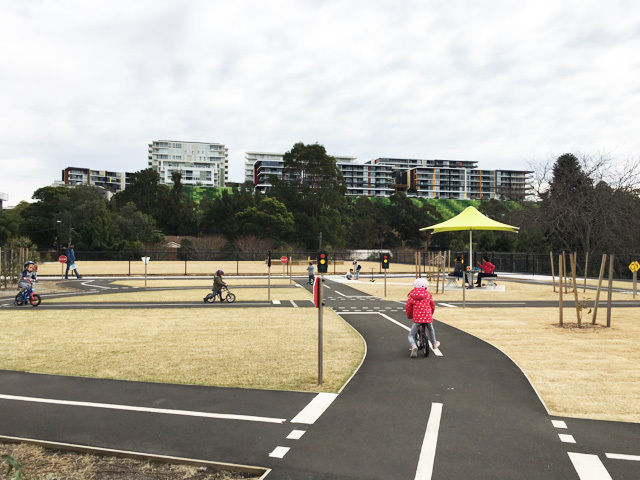 The new upgrades include an amazing scooter and bike track for children, complete with traffic signs, a roundabout and traffic lights. 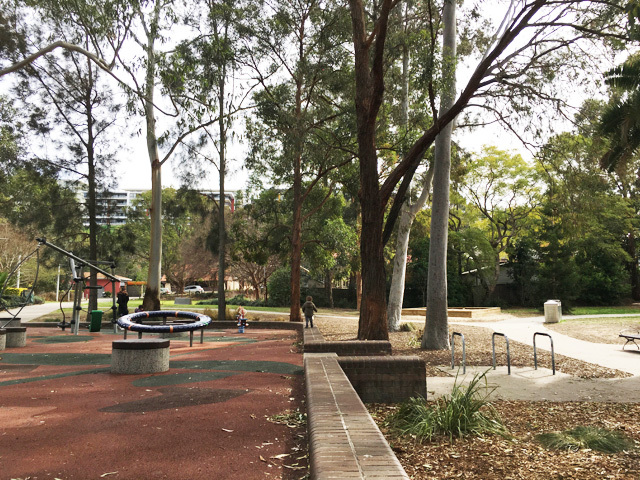 There is also an undercover seating area, landscaped gardens, drinking fountains, a relaxing picnic park and a new dog off-leash fenced area next to it. The kids loved racing around the track, stopping for snacks and park at the scooter/bike parking. There is also a nearby playground and Grounds Keeper Café to catchup with friends and for something different. There is also another simple bike track. We had a great time at the Ryde Park Scooter and Bike Track and highly recommend it. The kids will sleep well after! 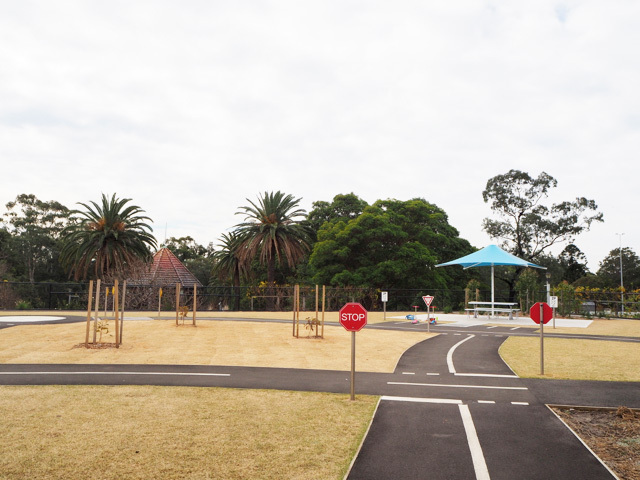 This playground is located at 7 Blaxland Road in Ryde.